But experts say while it’s likely that troop numbers in Iraq will decrease, those resources will likely spread out to assist nearby missions in the region — from the Arabian Peninsula to Afghanistan and missions in Africa. 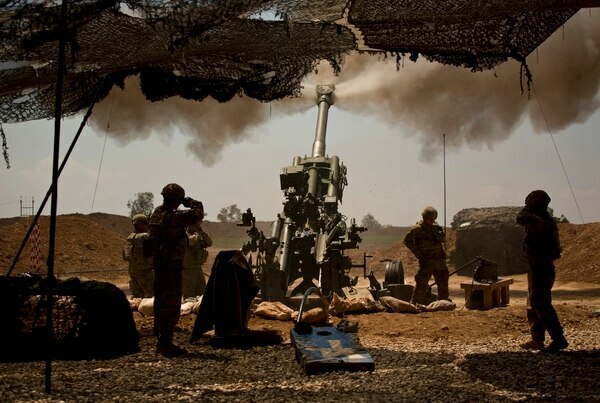 On Monday, commanders transferred the land fight against any remaining ISIS holdouts in Iraq to Combined Joint Task Force-Operation Inherent Resolve, according to a coalition release. 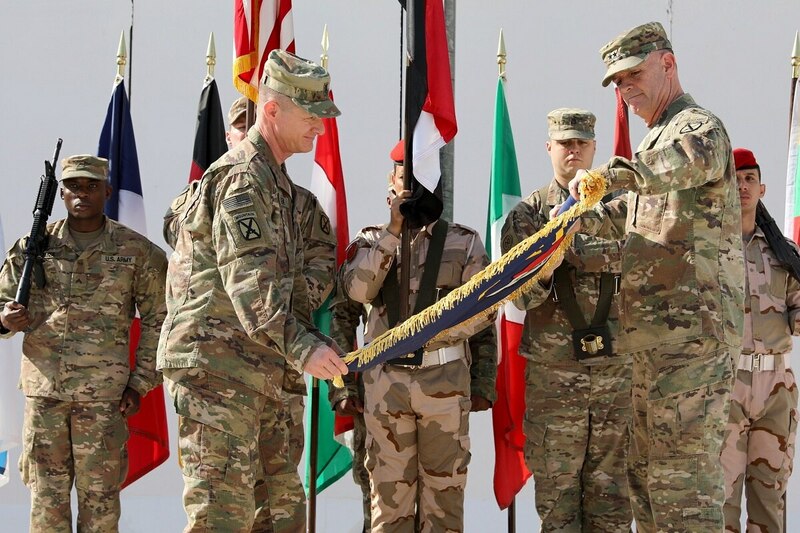 The U.S. Army’s 1st Armored Division handed off control of Operation Inherent Resolve’s land component to the 10th Mountain Division at a ceremony in Baghdad, Iraq. That doesn’t mean all the troops are coming home, though. And that mission will shift, “from supporting and enabling combat operations to the training and development of self-sufficient Iraqi security-related capabilities,” according to a coalition statement. That move means that troops recently deployed to the area, such as the 10th Mountain Division headquarters that arrived in March, will continue in a “train, advise, assist” mission. The decision could mean all the difference when it comes to avoiding a repeat of the near collapse of the Iraqi military after the 2011 U.S. withdrawal and subsequent rise of the Islamic State terror group, one Middle East expert said. More than shifting the role of U.S. and coalition troops in the country, it could prove helpful to other missions in the area, namely ongoing operations in Syria and beyond. Most of the ground forces being freed up, he said would likely be special operations forces who’ve been in high demand in all the regional conflicts for years. “I’m not sure how many [SOF] bases we have inside Iraq, but I imagine those will be packed up and withdrawn,” Phillips said. But U.S. officials have avoided specific troop numbers tied to changes in the anti-ISIS fight in Iraq. “President Trump has stated that the United States will not ‘telegraph’ its troop levels and activities, but will always base its force levels on the requirements of the mission,” Pentagon spokesman Eric Pahon wrote in an email Monday. ”We will retain an appropriate amount of capabilities as well as an advisory presence” to continue training, advising and equipping partners in the “continued fight against ISIS,” he added. Any reduction in U.S. troops and takeover in the fight by the Iraqi military might also aid al-Abadi in other ways. Phillips said some pro-Iranian militias have tried to make the presence of foreign troops in Iraq an issue in the upcoming May elections. For nine months leading up to the arrival of the 10th Mountain headquarters, of Fort Drum, New York, soldiers with the 1st Armored Division of Fort Bliss, Texas, helped the Iraqis bring the fight to ISIS. Before them, soldiers with the 1st Infantry Division of Fort Riley, Kansas, had assisted Iraqi forces in retaking Mosul, Iraq, which had been under the control of ISIS.